The city is located in South Yorkshire, in the north of England, on the River Sheaf. The city is famous for architecture such as the Park Hill Housing, the Winter Gardens building, the Crucible Theatre building, St Paul’s Place and the former National Museum of Pop Music. Famous architects with buildings in the city include Mecanoo Architects, Sauerbruch Hutton and O’Donnell + Tuomey Architects. 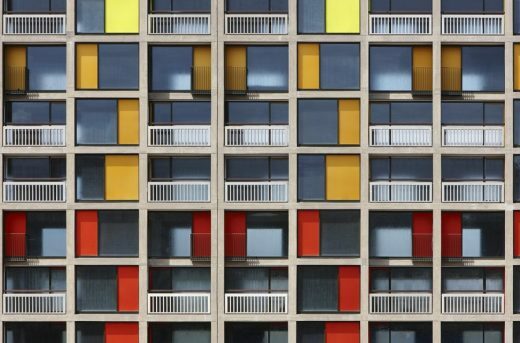 The transformation of the Park Hill Estate enters Phase 3 of the Estate’s regeneration. Urban regeneration specialist Urban Splash has teamed up with student accommodation developer, Alumno Developments, to create accommodation for circa 350 students, new shops and facilities. 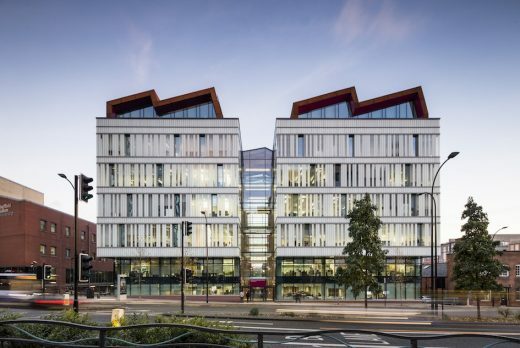 Bond Bryan Architects are delighted that their Sheffield Hallam University, Charles Street project has been shortlisted for the Brick Awards within the Education Building Award category. The purpose built Enterprise Centre has been designed to help business trade, interact, network and access support in a fresh and modern way. At SOAR Works individual office, light industrial units and artist’s studios provide high quality, functional workspace which is clustered around an internal courtyard which acts as a social hub, space for hot desking and home to the range of onsite business support services for start up and existing businesses. 192 Shoreham Street is a Victorian industrial brick building sited at the edge of the Cultural Industries Quarter Conservation Area of Sheffield. It is not listed but considered locally significant. This page contains a selection of major Sheffield building designs, with links to individual project pages. 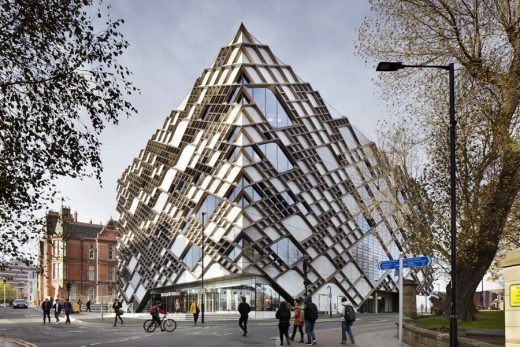 We’ve selected what we feel are the key Sheffield Architecture, but additions are always welcome. We cover completed buildings, new building designs, architectural exhibitions and architecture competitions across West Yorkshire. The focus is on contemporary West Yorkshire buildings but information on traditional architecture is also welcome. 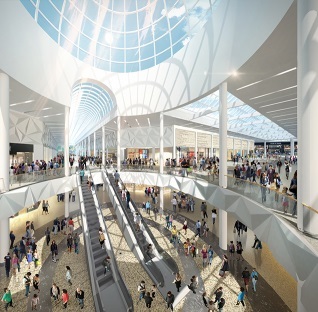 Building for Hammerson – 80,000 sqm approx.